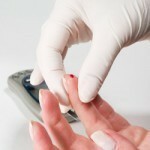 Diabetes mellitus is often simply referred to as diabetes. It is characterized by an increase in the blood sugar level. It is a disease of the pancreas and may result from insufficient levels of insulin in the blood (type 1 diabetes), or insensitivity to insulin, in which case, the person is unable to utilize the insulin in their blood (type 2 diabetes). In addition to the type 1 and type 2 diabetes, there is also a third type called gestational diabetes. This occurs during pregnancy and results when the expectant mother exhibits high glucose levels. This type of diabetes is usually managed by diet and will eventually go away after birth. 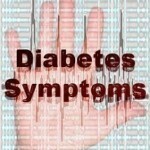 People suffering from diabetes are referred to as diabetics. Let us now, take a look at the possible causes of diabetes. Foods are the primary source of insulin. They are broken down into glucose and used for energy in our body. However, we must know how to choose the right foods that are essential to our body as well as eat the correct combinations. Health problems can be prevented with a proper diet. A healthy diet helps to keep blood glucose at normal levels. Inappropriate intakes of carbohydrates, fats and proteins will eventually hurt the body and can lead to diabetes among other health conditions. Diabetes can be avoided by making wise food choices and being physically active. A sedentary lifestyle can also lead to the possibility of having diabetes. It is important therefore, to have a balanced diet and to also have a regular exercise routine. Obesity is a major cause of diabetes and a more common cause of type 2 or non-insulin dependent diabetes. The insulin produced by the body is insufficient and this leads to diabetes. An obese person will usually have a diet high in carbohydrates, starches and sugar, but, low in protein and dietary fats. The body in unable to properly digest these foods and is unable to process sugar. Therefore, weight loss is necessary to lower high blood glucose. 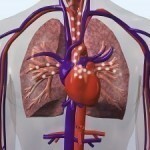 A chaotic, emotional or busy life style may influence the body’s metabolism or adrenalin levels. Mental or physical stress alters blood glucose in the body where glucose levels may rise or drop. With stress, the body alters its hormone levels in preparation of defending or protecting itself. In this process, the hormones make a lot of stored energy available to cells whose function is to ensure that the body is out of danger. Smoking is definitely one of those activities that can cause a variety of health conditions with diabetes being one of the top contenders. Research shows that smoking can lead to insulin resistance or “Inadequate compensatory insulin secretion responses”. Other studies reveal that “smoking could be independently associated with glucose intolerance, impaired fasting glucose and type 2 diabetes”. The American Journal of Epidemiology says “smoking 16 to 25 cigarettes a day increases the risk of type 2 diabetes to three times that of a non-smoker”. Diabetics who smoke may experience further complications with regard to their health. One of the causes that is believed to contribute to getting diabetes is the genetic factor. If one of the parents or both parents have diabetes, the child may also face the risk of getting diabetes due to the genes passed on from the parents.